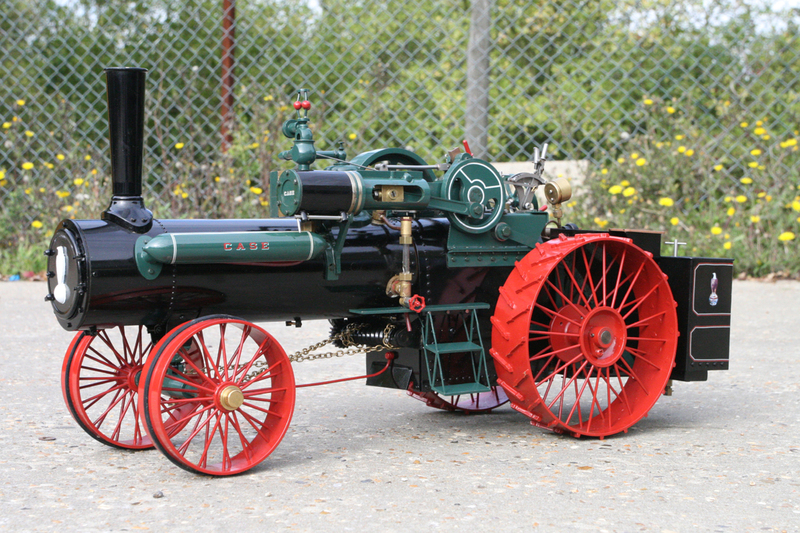 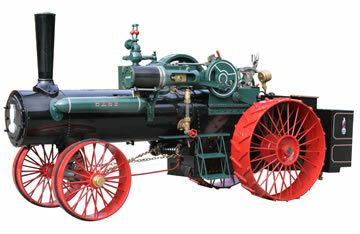 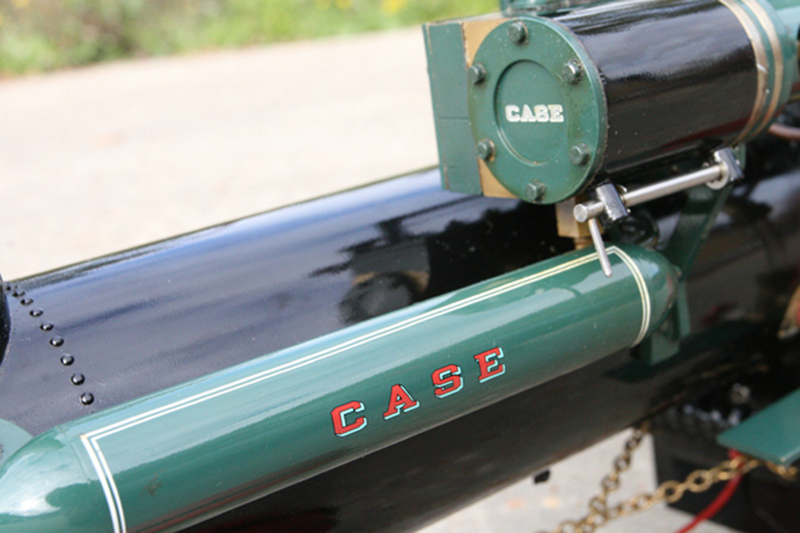 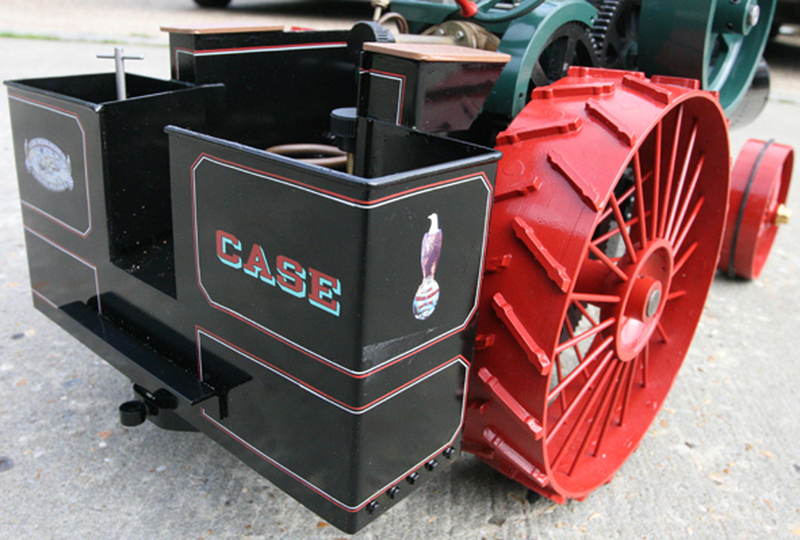 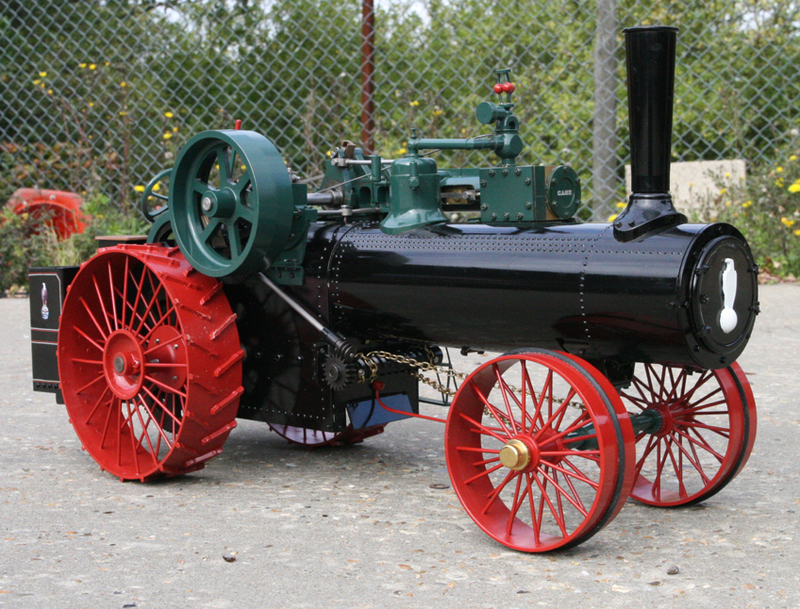 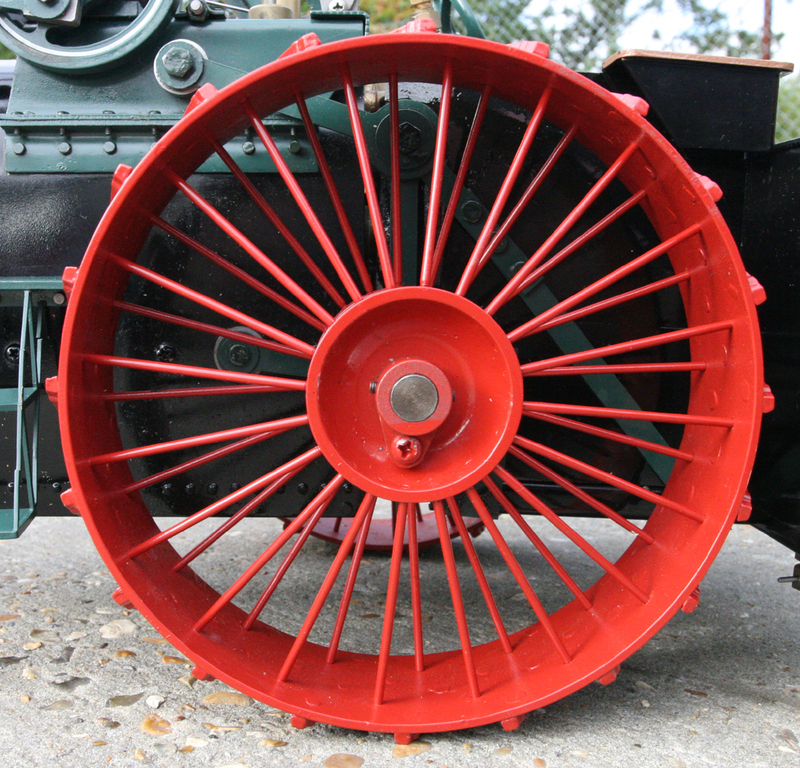 This model is based on the traction engines produced by the Case company in USA. 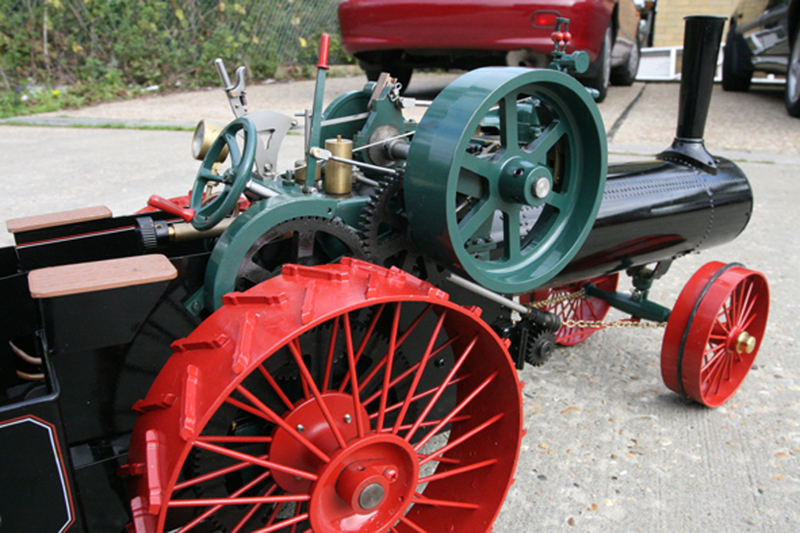 These engines were built from the mid 1800 to the early 1900 and are typical of the style used by many American manufacturers. 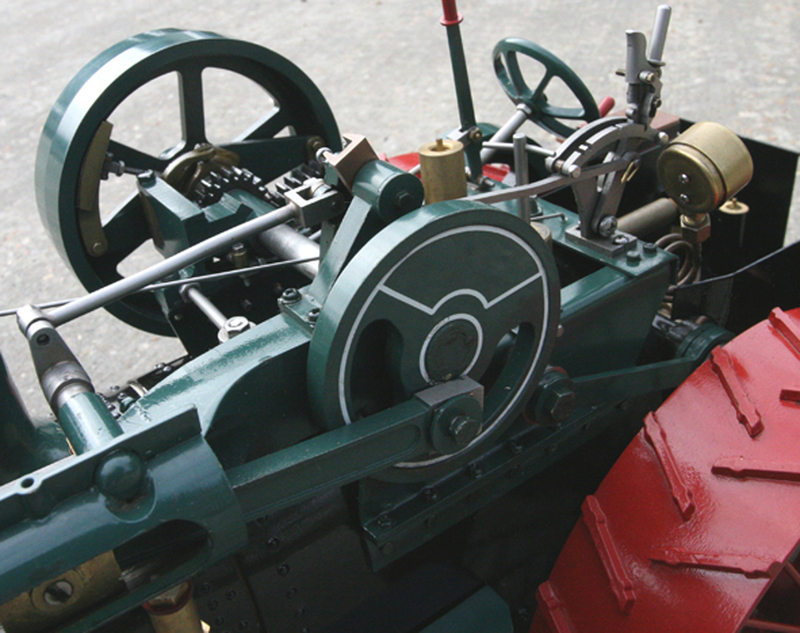 It has a single cylinder mounted on a cast frame, and a constant mesh gear drive with a clutch mechanism built into the flywheel. 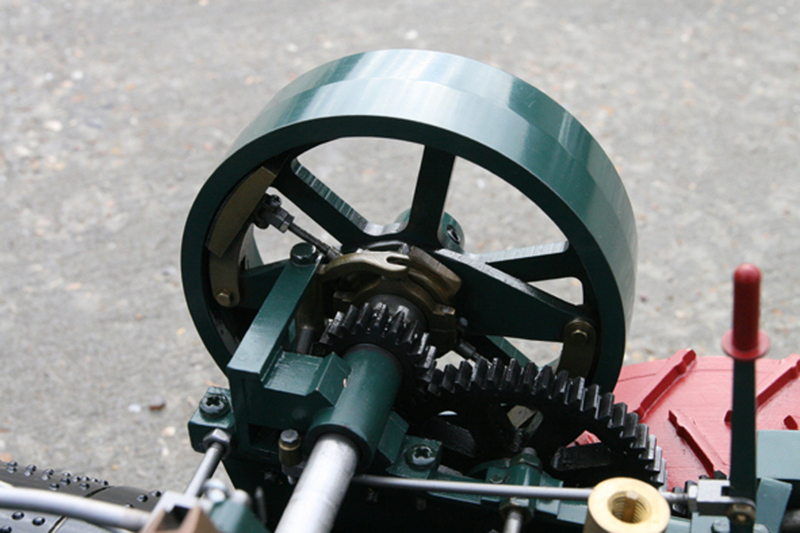 There is full spring suspension on the rear axle with the gears kept in alignment by a swing link system. 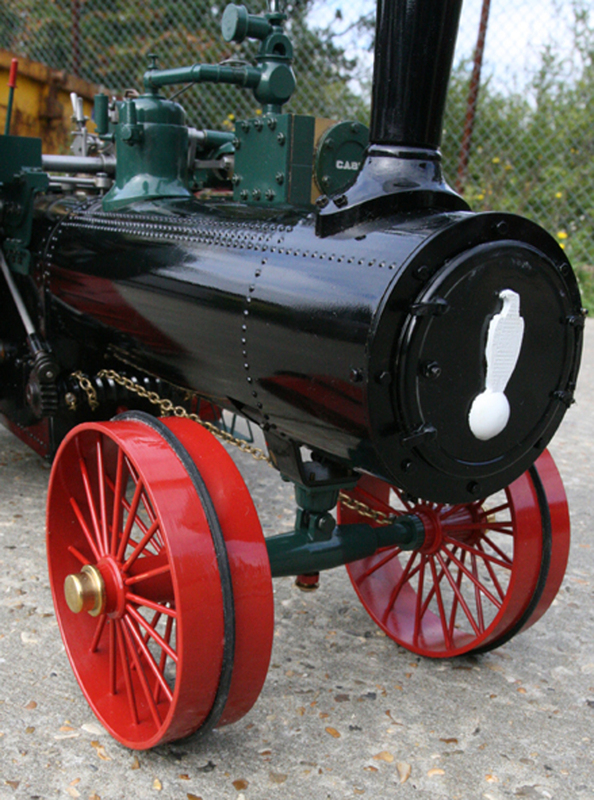 The model is gas fired with twin flue burners, and superheater. 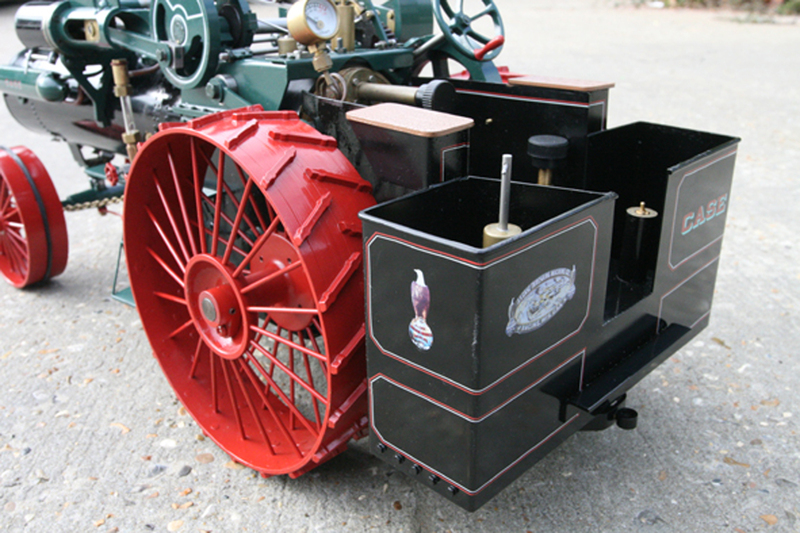 It comes complete with the dome, feed water heater and governor as detailing.